By Holy Crap CerealCelebrate the Red, White and Blue! Don’t let its good looks deceive you – this tasty fiber packed All American breakfast parfait will keep everyone energized and satisfied until lunch. 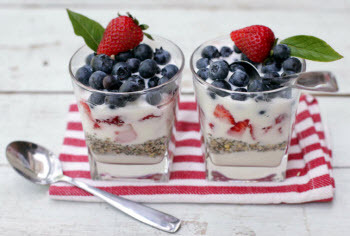 “Try the All American Breakfast Parfait by Chef Guy from the White House Chef Tour. 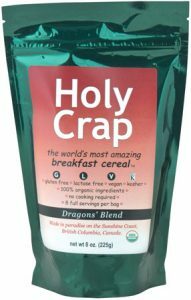 Holy Crap cereal is the best cereal that I have ever eaten”.